Oceanfront 5 Bedroom, 5 Bath duplex home with shared POOL! Private walkway to the beach has a gazebo over the dunes to take in the expansive views of beach and ocean and enjoy the sunrise/sunset on this south facing beach. Tile floors throughout the living areas. Four televisions and DVD players plus one with HDTV with HBO cable programming and and bluray player in the living area. Updated and fully equipped kitchen with large dining table to gather for meals. Kitchen includes dishwasher, 2 microwaves, separate beverage refrigerator, and free standing icemaker. Washer/Dryer. Safe to secure valuables. 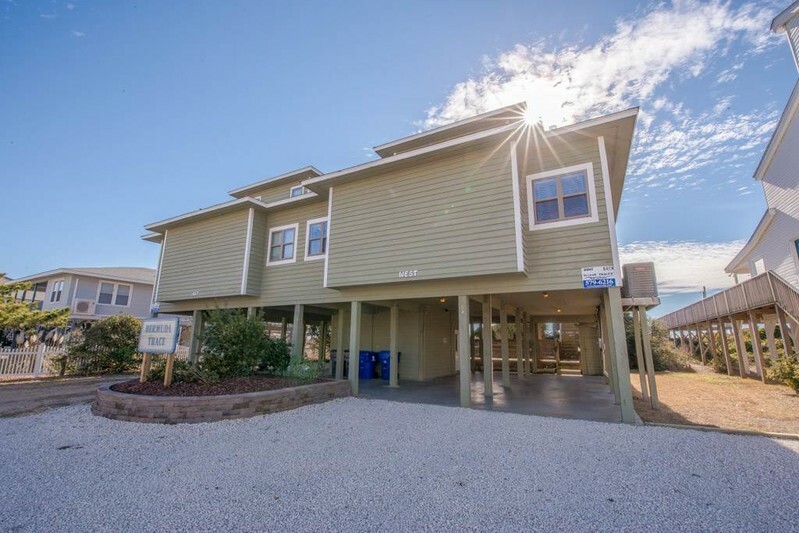 Other amenities include phone for local calling, wireless internet access, ceiling fans throughout, covered porch, sundeck, hot and cold outside shower. Sleeps 16. Bedding: Upstairs: King, King, Double Over Double Bunk, Downstairs: Queen/Queen, Queen/Queen.